Did you know that robotics technology is causing a manufacturing revolution? Robots are already changing the way we produce things in major ways. Today’s robots are more capable and easier to use than ever before. With a hydraulic robotic arm, you can harness this power for your own company. Give your manufacturing efficiency a boost by investing in this method to speed up production. 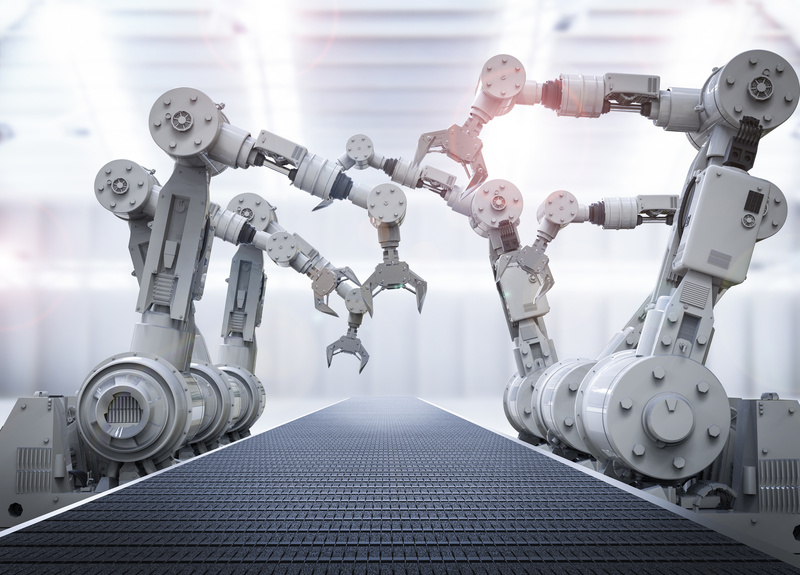 There are countless ways a robotic arm will help your manufacturing business. We’ve compiled a few of the top reasons you should invest in one today – read on to find out more. For a long time, hydraulic robotic arms were large, dangerous, and expensive. However, as robotics technology has improved, the cost has gone down and the quality has gone up. Today, there are many different options for robotic arms. Sensors in robots now help them know when to slow down or apply less force, such as when a human passes close by. With sensors, robotic arms will even automatically stop to prevent accidents. Smaller, more delicate arms are now being made that are suited to more precise tasks. So if you thought a robotic arm wouldn’t work for your more delicate manufacturing needs, you may want to think again. It’s believed that in the next nine years, the industrial robotics market will grow by 175 percent. Along with this growth comes a jump in market value – by 2025, it’s believed that the value of manufacturing robotics will almost triple. There’s a good reason for this trend: robotics is the future of manufacturing. The companies investing in robotic arms now will be able to build more things faster, while more easily meeting standards of quality. This will give them a boost above the competition. Don’t get left in the dust. Instead, stay ahead of the manufacturing trends by investing in industrial robotics early – it will pay off very well. Robots are becoming less expensive now than they once were, but manufacturing robotics has always been a wise investment. Robots can work faster than humans can, and more accurately, for longer periods of time. And, of course, robots don’t need to be paid. There is the initial cost of buying robotic arms and some maintenance costs, but that’s it. When you invest in robotics for your manufacturing processes, you will save money in the long run, which can be better spent on important things. Instead of paying people to build things, you could focus more on hiring people to help with design and marketing, for example. Using a hydraulic robotic arm frees up your manufacturing company in many different ways. You’ll be able to focus on design, marketing, and other concerns of your business since the manufacturing processes will be more automated. You’ll be ahead of the manufacturing trends, so you can raise your income level and stay competitive. And you’ll benefit from the rapid improvements robotics technology has made in recent years. With so many great reasons to invest in a hydraulic robotic arm, there’s no reason to wait. Have you seen what’s on the market? Check out our selection of industrial robots here – you might just be amazed at what they can do.